Fresh paint, new flooring, new bathroom tile, updated condo on first floor w/ garage stall. Can be a rental. Maple cab, granite counters, stainless steel appliances. Upgraded bath vanity, walk in closet with wash/dry hookup. Basement has laundry room, party room, workout room, and don't miss the roof top deck. New ceramic tile and bathroom fixtures. I was searching for a Property and found this listing (MLS #5137178). I would like to schedule a showing for 3150 Excelsior Boulevard #101 Minneapolis, MN 55416. Thank you! I was searching for a Property and found this listing (MLS #5137178). Please send me more information regarding 3150 Excelsior Boulevard #101 Minneapolis, MN 55416. Thank you! 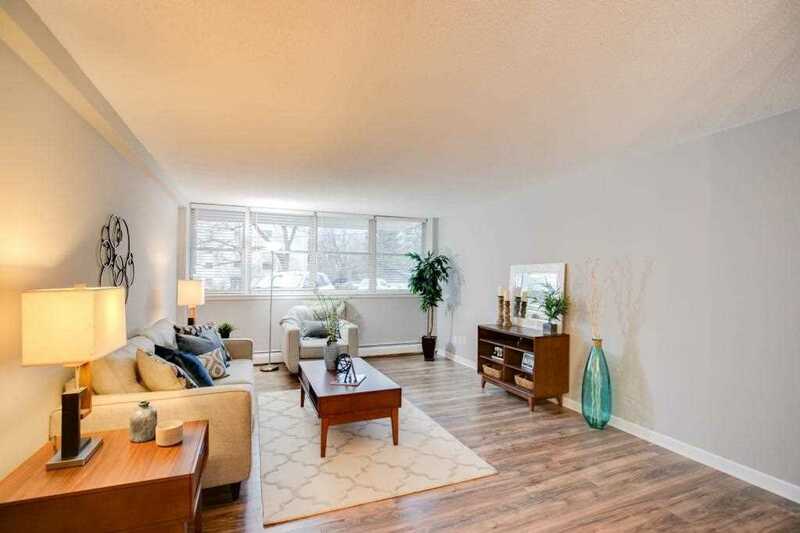 MLS® 5137178: This property at 3150 Excelsior Boulevard #101, Minneapolis, MN 55416 is located in the West Calhoun subdivision and is listed for $145,000. MLS® 5137178 has been on the market for 100 days.